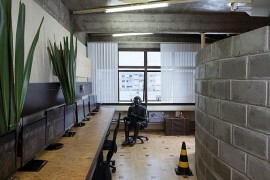 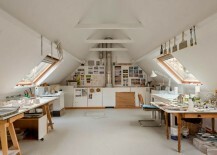 It isn’t always possible to dedicate one of the main rooms of your home to an office or studio. 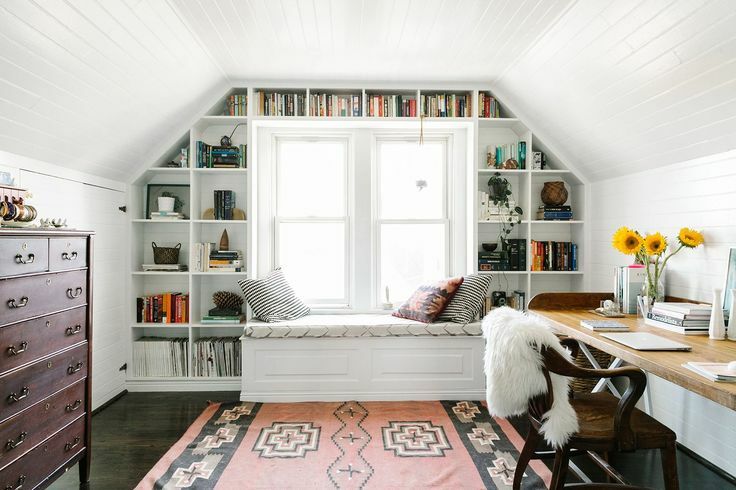 And when carving out a little area of the den or your bedroom isn’t an option, you might as well look to the attic if you’ve got one that’s safe and functional enough to spend some time up there! 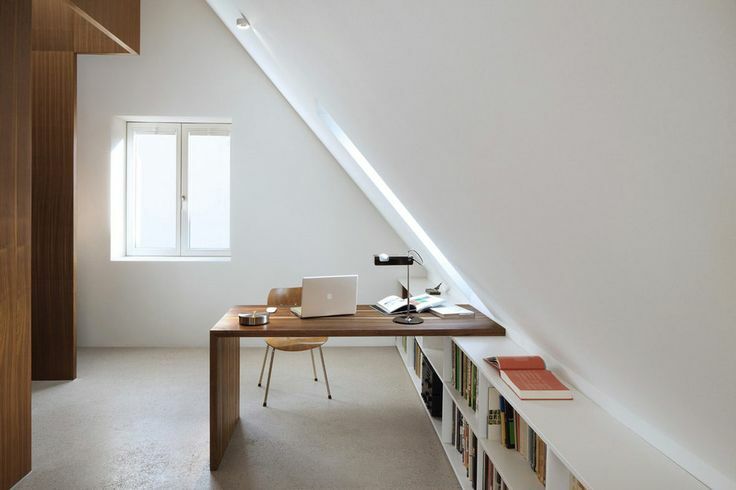 Not everyone has one (I certainly don’t), but if you do, count yourself lucky. 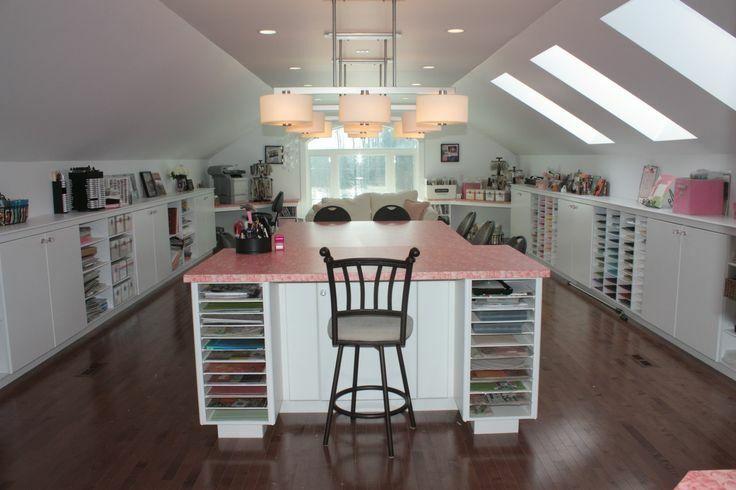 Attics aren’t just for storing Christmas decorations and your old family heirlooms. 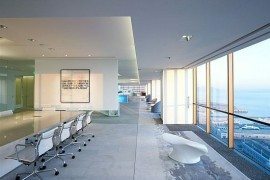 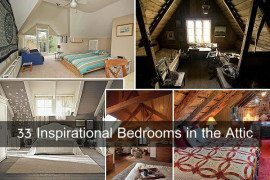 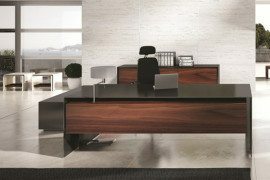 Here are just a few that may inspire you to do your best work up there! 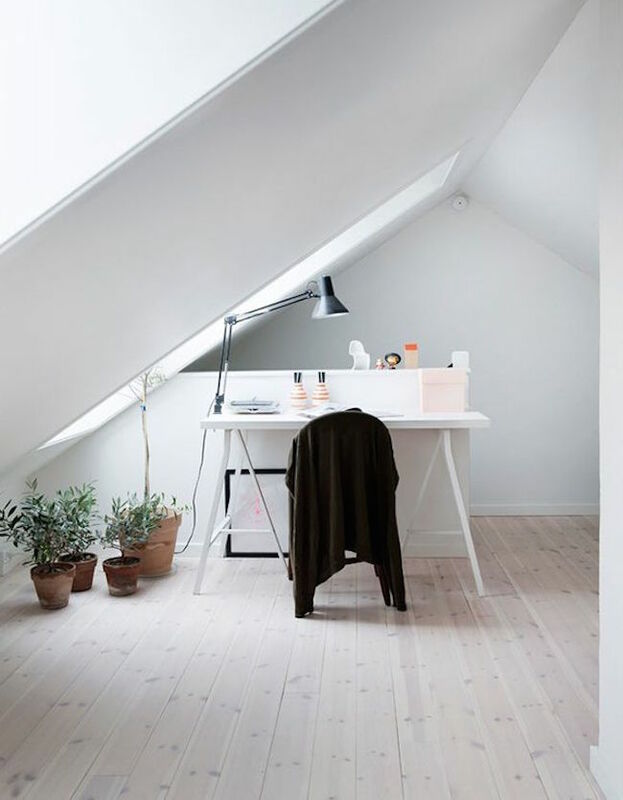 Many of the following bright attic spaces take a lot of inspiration from Scandinavian design, featuring beautiful white walls, wood floors and furniture, and minimal decor. 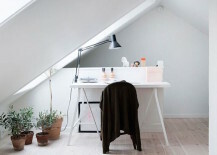 These first two from and have desk placements that work great with the attic architecture. 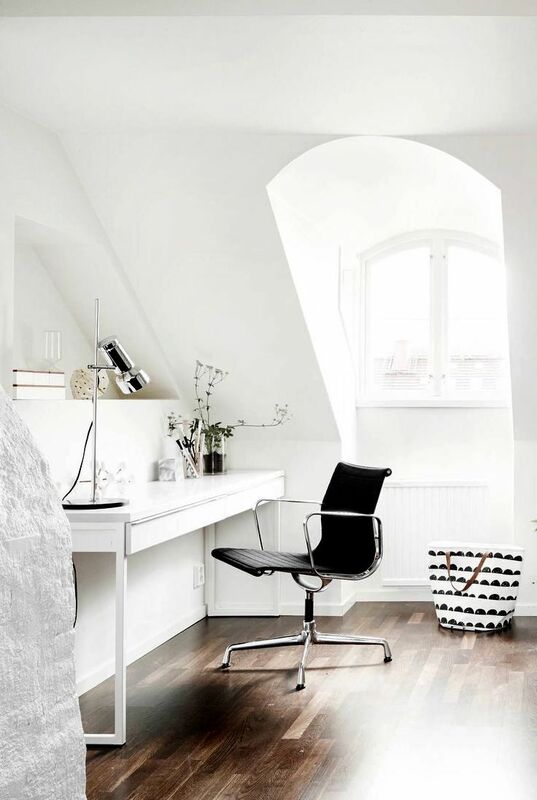 shows another great little office area conveniently positioned beside a huge gorgeous window, while another from puts one in front of a smaller window. 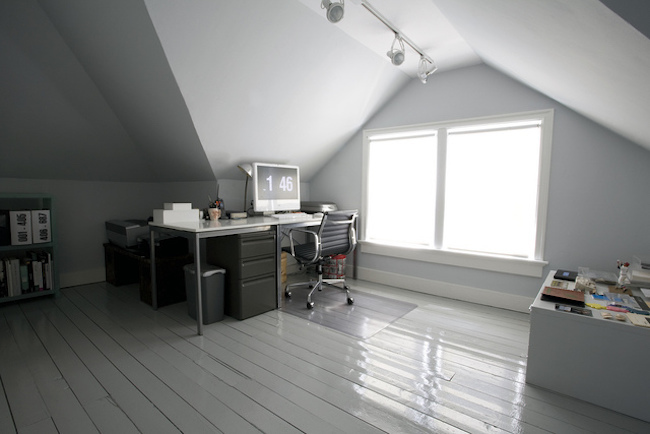 Your office attic space can look great even if it doesn’t look like a typical room of your home. 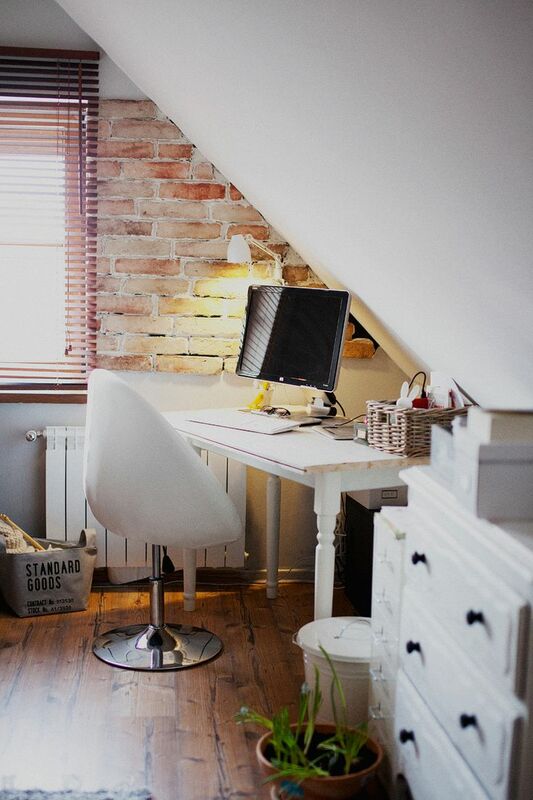 and show lovely office spaces positioned along their unique attic walls. 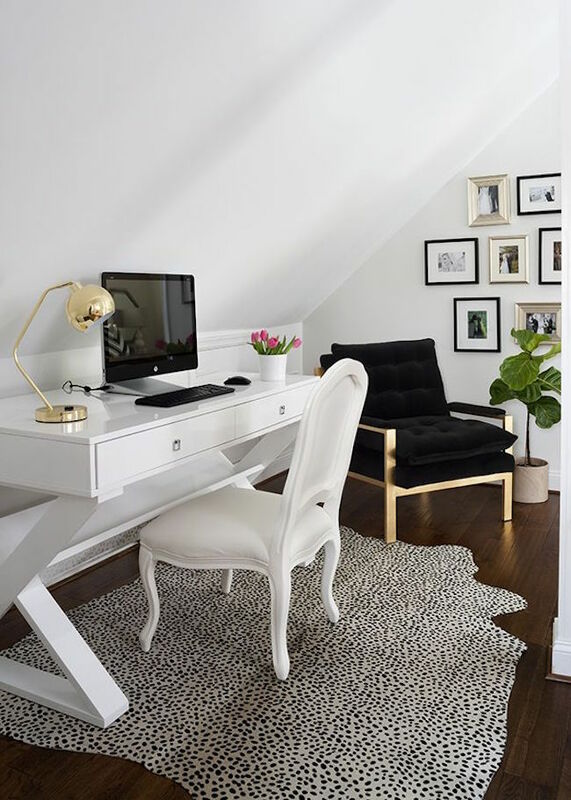 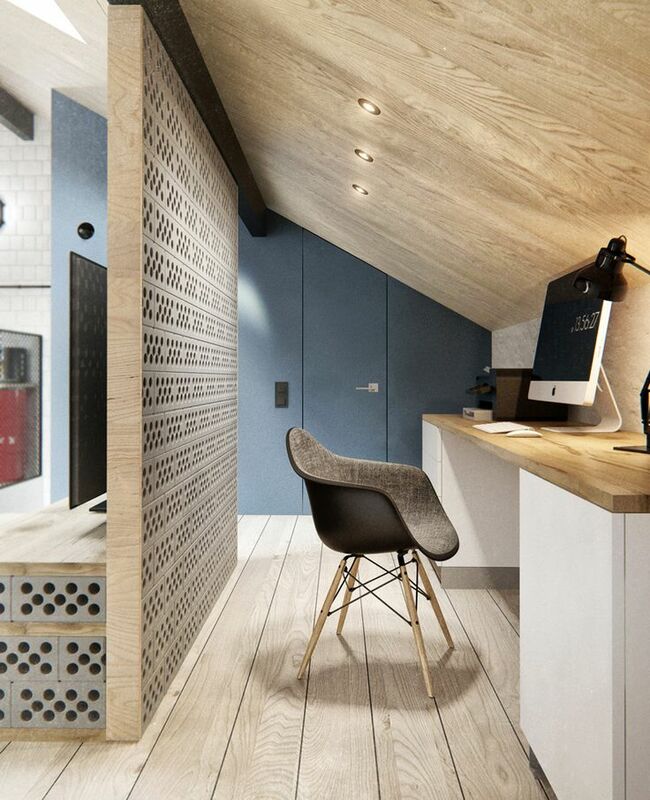 Knee-walled spaces can be a little awkward sometimes when it comes to positioning your furniture (or simply walking through the room), but take a look at how chic this attic office from looks! 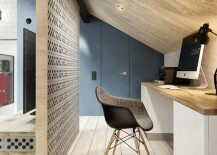 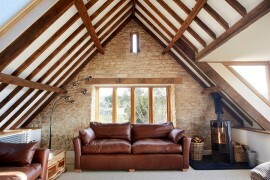 shows a great solution for an attic that needed to be split up into different spaces. 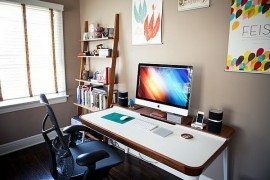 Again with those knee walls that are so awkward to work with — offers a great example of how you can take advantage of it by creating one large, long desk along the entire wall. 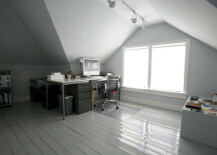 also shows some interesting attic office spaces, with this one being my favorite for the huge window! 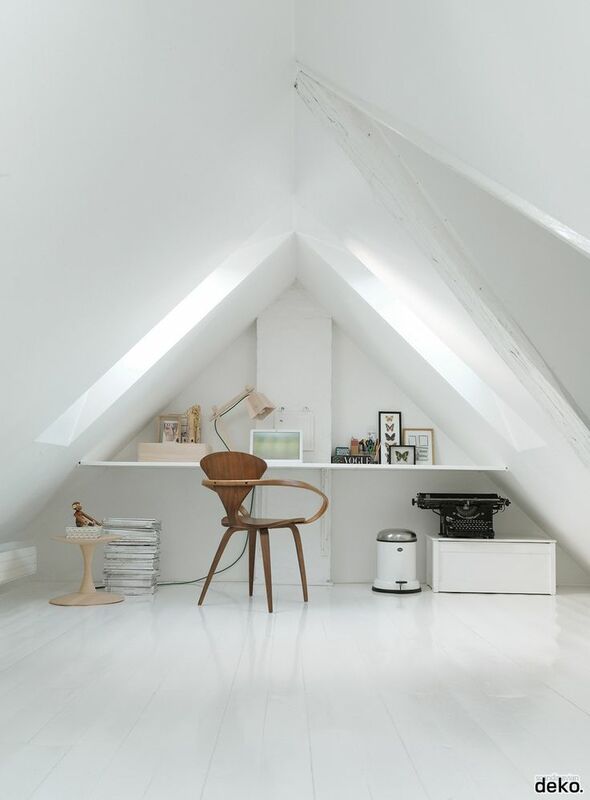 For the artists out there, there may be no better place than the attic to put your studio. 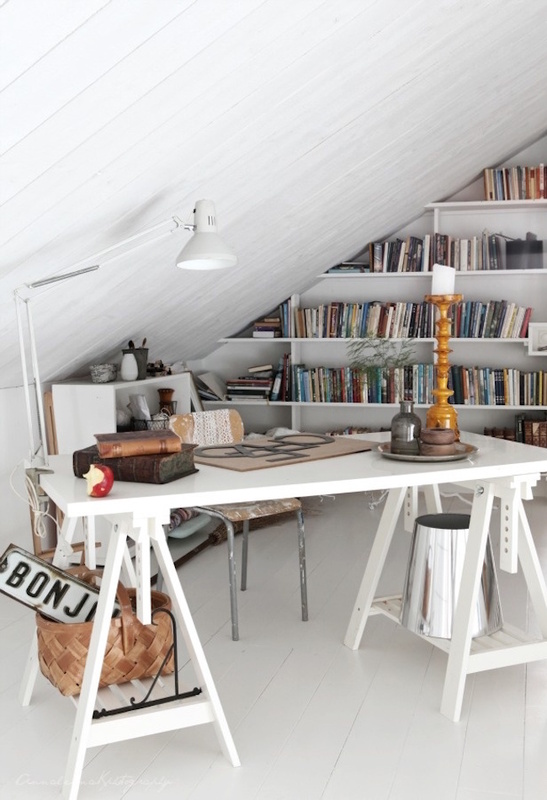 One example from takes some Scandinavian inspiration and combines it with some crafty, elegant details. 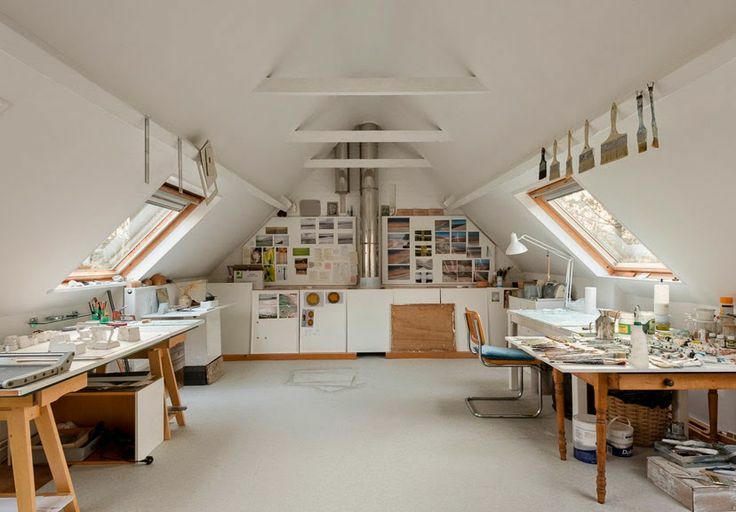 And if you’ve got the space for it, take advantage of all that room for supply storage and combine it with some big studio work station tables — like these impressive attics from and . 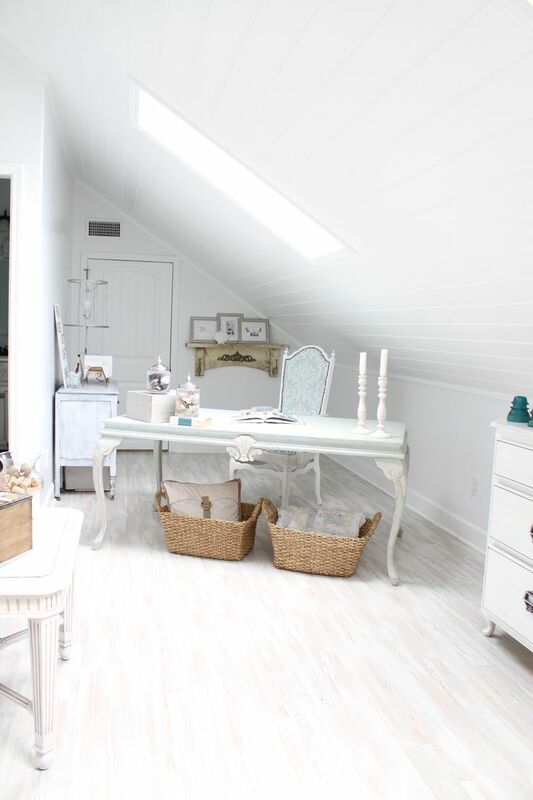 What do you think about working in an attic?! 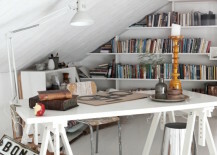 Honestly, if it’s got the right look and has enough insulation for you to be able to stand it in the winter, I’d say you’ve got yourself a great space!